Nicaragua, this small land full of natural beauty and human warmth, is known as the “land of lakes and volcanoes” and it’s not said in vain. When America is observed from satellites it can be distinguished in the center, in the small Central American isthmus, two bodies of water, those are the two lakes of Nicaragua. What to say about the volcanoes? There are 14 major volcanoes in the country and each one offers a unique experience. And this is not to mention the various lagoons with volcanic origin. This time we’ll talk about one volcano in particular, the Masaya Volcano, undoubtedly a place you must visit in your travel to Nicaragua. 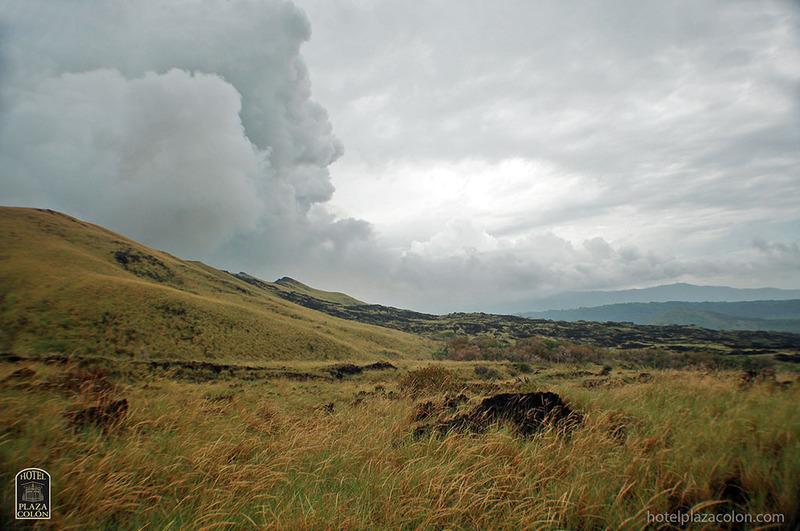 Masaya Volcano National Park is one of the most important protected areas of the country. It’s a volcanic caldera of 54km2 that can only be appreciated from the air and comprises 2 volcanoes, 5 craters and 1 lagoon. The two volcanoes have been collapsing after the eruptions suffered and currently only one is active. The Masaya lagoon is an oval shaped lagoon with volcanic origin. It is located to the west of Masaya city and covers an area of ​​19.5 km2 (5 kilometers from north to south and 2 kilometers at its narrowest part). There are many myths and legends about the lagoon that include a giant snake and contact with extraterrestrial beings. 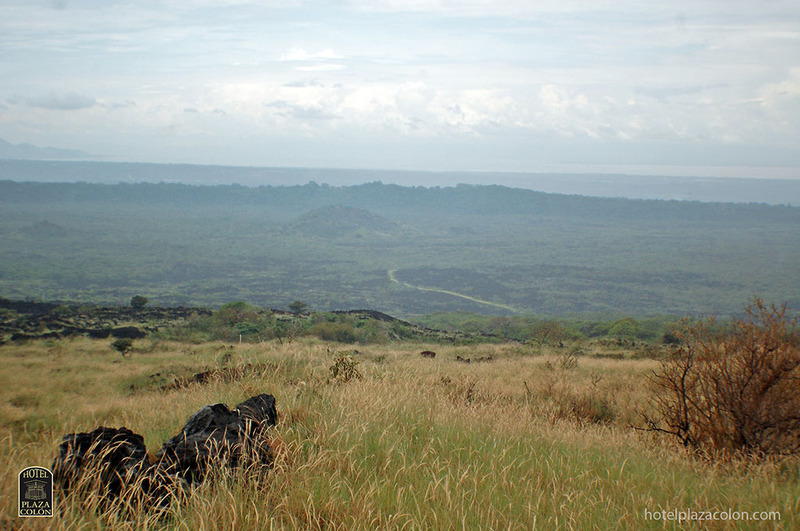 The Masaya Volcano consists of 2 craters: “Crater San Fernando” and “Crater San Juan”, both are inactive and covered of vegetation. The Nindirí Volcano, sometimes called Santiago Volcano, is a volcano with 3 craters. 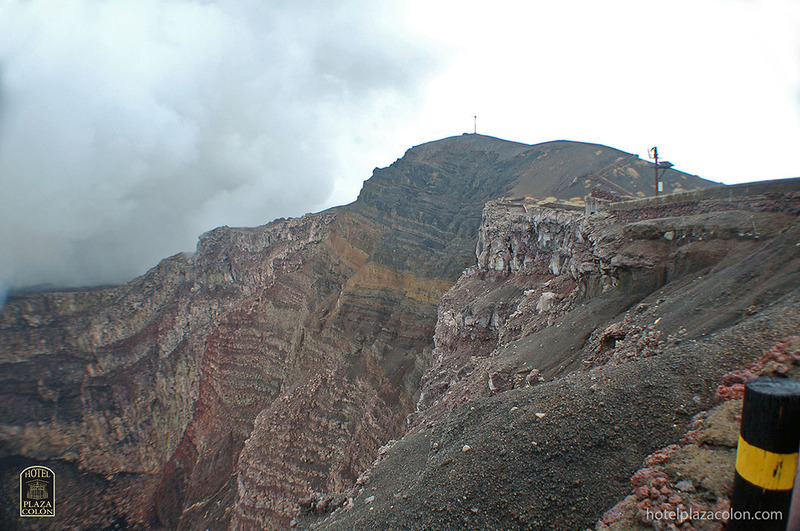 The only active one, and main attraction of the park, is the Santiago crater; the other two craters are named San Pedro and Nindirí. Nationals: C$ 30 cordobas. From 9:00 am to 4:30 pm. Foreigners: C$ 100 cordobas. From 9:00 am to 4:30 pm. Night Tour*: $ 10 per person (min 6, max 40). From 5:00 pm to 7:30 pm. *NOTE: Night tour currently closed, however, there is a night visit. *NOTE: From the activities mentioned below, the available ones are the visit to the museum, the picnic area and a night visit. 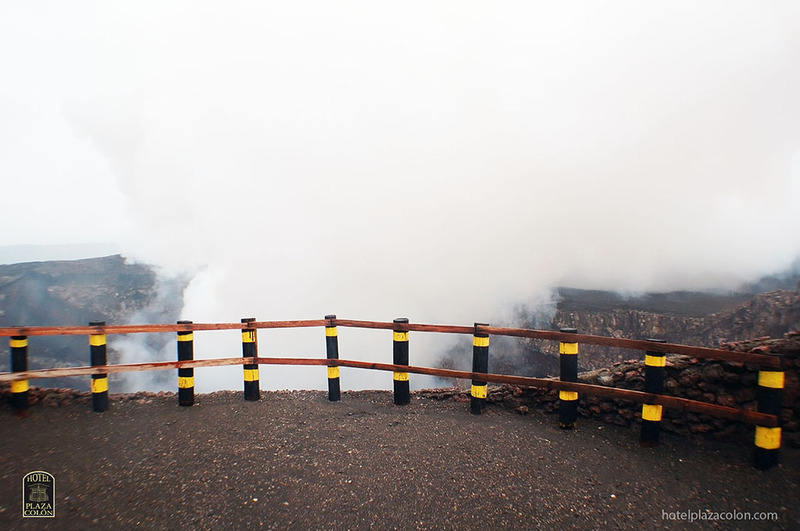 The night tour and trekking are temporarily disabled because of the recent activity of the volcano, however, there is night visit that consists on a visit to the Santiago Crater. It starts at 5:00 pm and costs $ 10 per person. Depending on the climate or the volcanic activity of the day you can stay in the crater area about 5 to 25 minutes approximately. 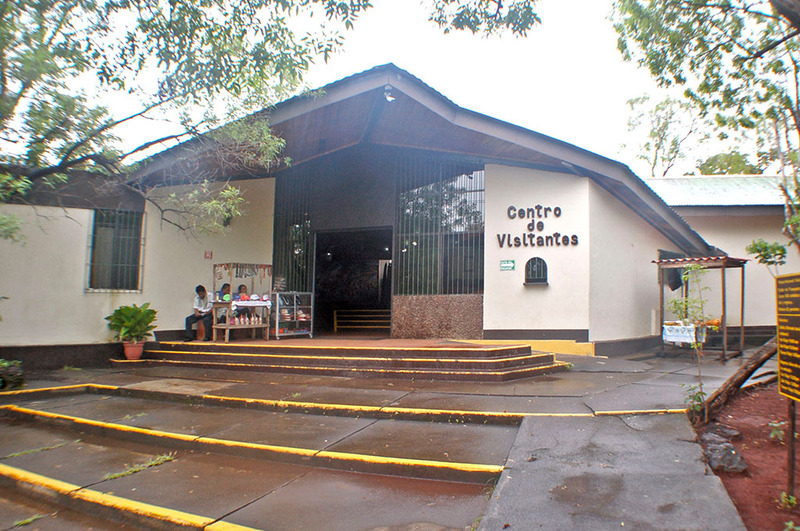 Among the activities you can do, the first one is to visit the museum of the park. 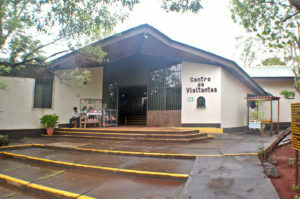 This museum (or visitor center) is equipped with valuable information about the history of the volcano, first records, historical eruptions, old drawings and paintings, as well as information of the flora and fauna of the park and other important natural reserves of the country. There is a large terrace in the back part of the museum where you can relax and appreciate the magnificent view of the landscape, there you can see the Masaya lagoon bordering Masaya city. There is also a picnic area in the forest in front of the museum ideal for having lunch and staying in touch with nature. This site is very useful when group tours are made and also for resting after a long walk. 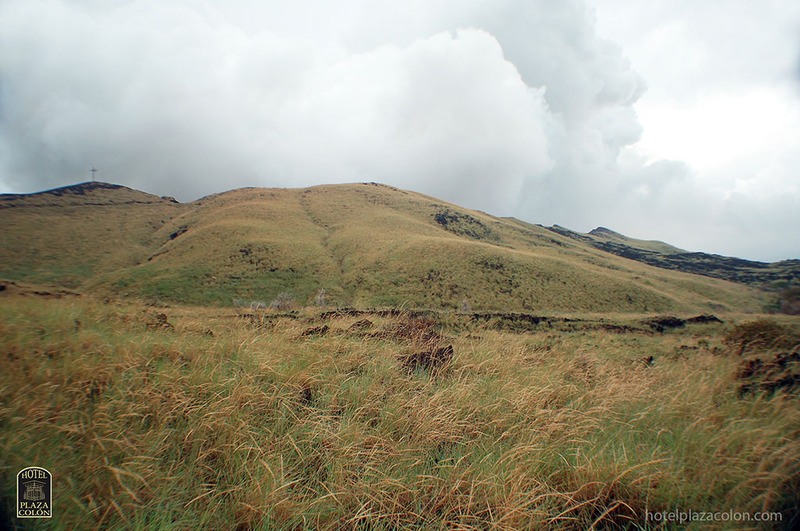 Trekking is another important activity in the park, either for climbing to the volcano or for moving from the Santiago crater to another crater or cave. There are a lot of paths where you can go for a walk with a tour guide and the distance of the trails varies from 1.5 km to 5.8 km. You need to wear a hat, sunglasses, comfortable shoes, water and of course a camera. There is also a night tour that costs $ 10 per person with a maximum of 40 members and minimum of 6. This tour used to begin with a visit to the historic “Cruz de Bobadilla”, however, it is closed since 2006 because it’s a landslide area. 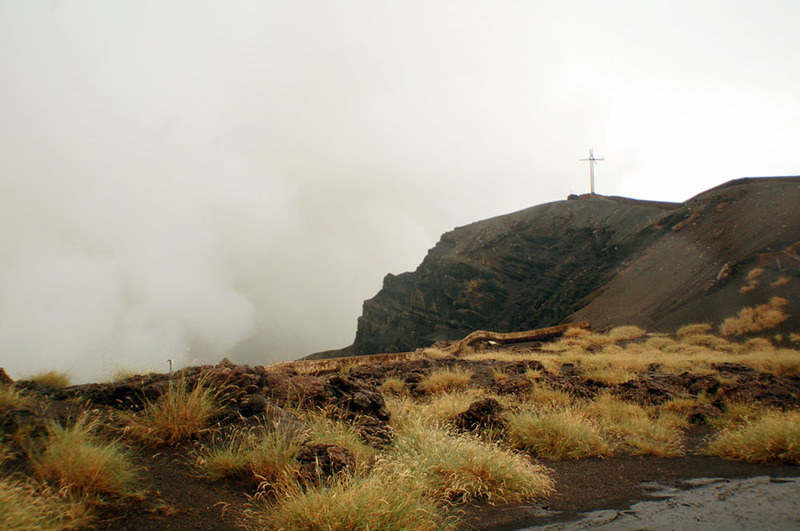 The original cross was laid by the friar Francisco de Bobadilla in the XVI century with the idea of exorcising the crater and its infernal spectacle. During the night tour, you can appreciate the arrival of the chocoyos to the volcano; these birds are curious because they have adapted over the years to the atmosphere of the volcano and in fact they live within its walls. You can also see the mass outflow of bats from the caves, something that you can only see in a very few places. The tour includes a visit with helmet and flashlights to a tunnel formed by lava flows from past eruptions. 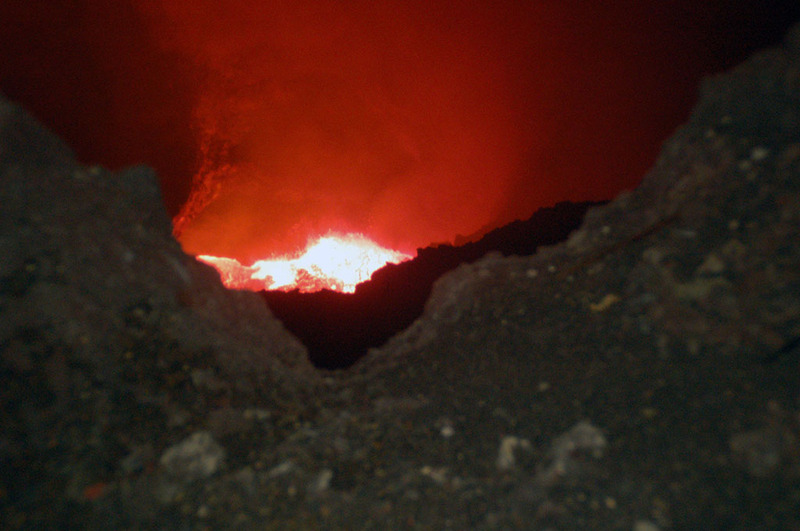 Finally, the expedition ends with a visit to the crater, already night, where you can see the light of the lava reflected in the walls of the crater; in some angles you can see the lava glow. An impressive fact is hearing the powerful sound of lava moving and especially when it strikes against the crater walls. 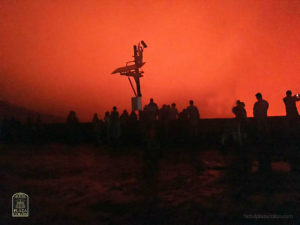 Usually lava can be seen only at night, however, with the activity of the volcano this year lava can be seen even in daylight, but the night show is extraordinary. 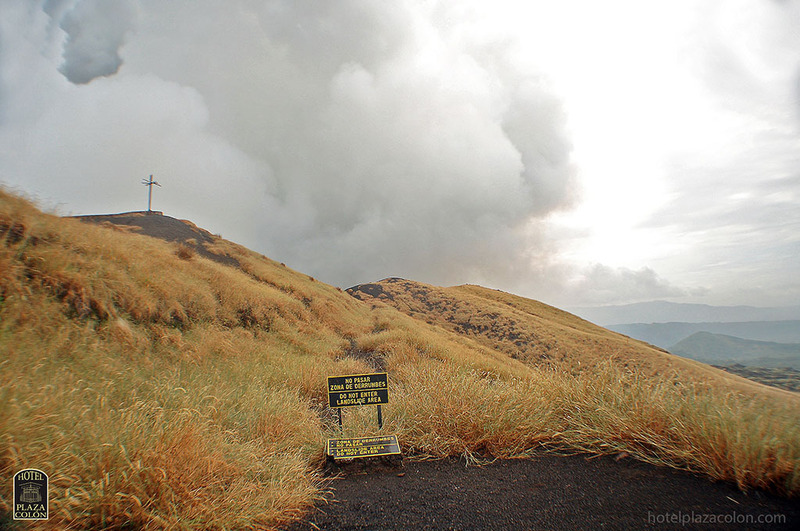 You may be interested: Explorers, myths and legends of the Masaya volcano. In mid-2016 the explorers Sam Cossmann, Thomas O’Brien and former NASA astronaut Scott E. Parazynski arrived in Nicaragua to descend to the ground zero of Santiago crater to document the activity of the volcano. 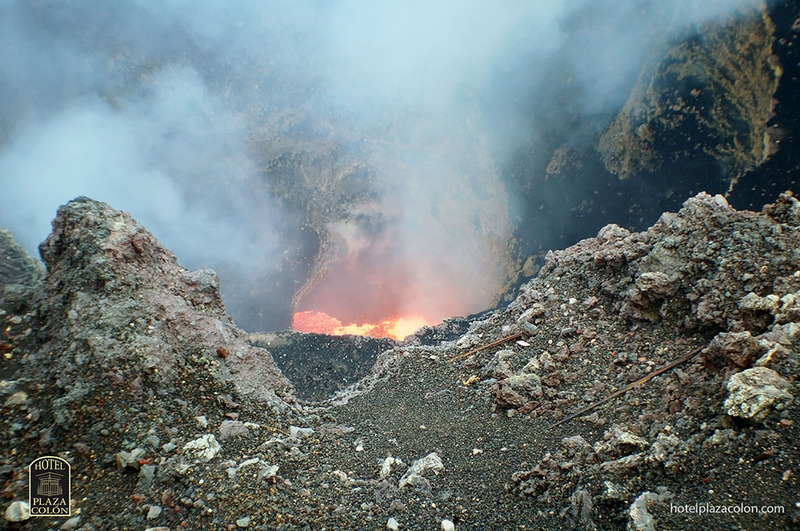 They installed several sensors to collect information about the volcano and this info will be available on a website for anybody to investigate and monitor the volcano’s activity; this fact would make the Masaya volcano the first virtual volcano in the world. Thomas O’Brien described his experience: “This place is truly the mouth of hell.” But, why did he say that? The mouth of hell? There are several myths and legends about the volcano that we invite you to read about in our next blog article for you to learn more about the history of this powerful place. Here we leave some photos we took for you.